Many of our modern cameras are fully restored and working with HD/SD output, working viewfinders, working tally lights, and working Camera Control Units. Many vintage models have been fully restored and repainted with new logos. Many older vintage internal electronics have been replaced with modern HD broadcast quality cameras, working viewfinder monitors, working tally lights, and they now provide an HDMI HD broadcast output for the Director's monitor and other outputs! * 50 News Studio Cameras: 1950's to Present! * Over 100 Film Cameras: 1880 to Present! Our Studio Cameras have historic roots. 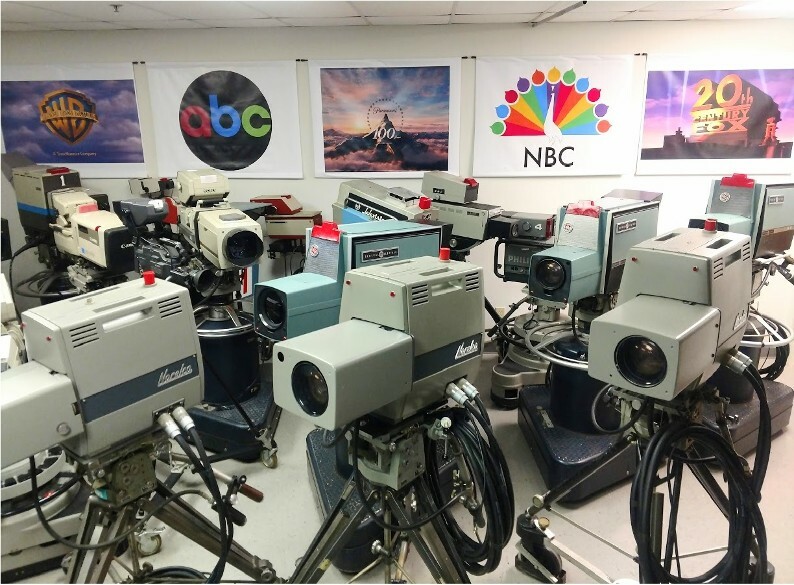 Some of our cameras are from Burbank Studio 6, home of "The Tonight Show" with Johnny Carson, American Bandstand, Sesame Street, Lawrence Welk Show, The Shopping Network, CBS Studios NYC, NBC Studios NYC, CNN Studios & more! We are sincerely grateful. And our sincere thanks to our good friends Bobby Ellerbee and Chuck Pharis for their tremendous efforts in helping this come together! Their friendship, knowledge and inspiration have been incredible! If you have questions or need additional photos, please call us! Please call to reserve cameras for your Production (404) 349-7600 Thank you!